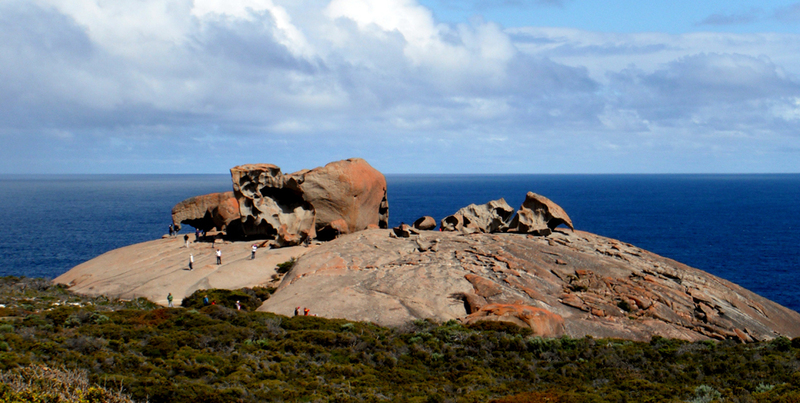 Explore South Australia and the coastal wilderness of Kangaroo Island. Enjoy the culinary highlights – honey, seafood and native spices. Be inspired by natural wonders such as Admiralty Arch and Remarkable Rocks. See the sea lions at Seal Bay. Meet your Ross Tour Leader, Libby Cameron, at Sydney Domestic Airport or join us in Adelaide. 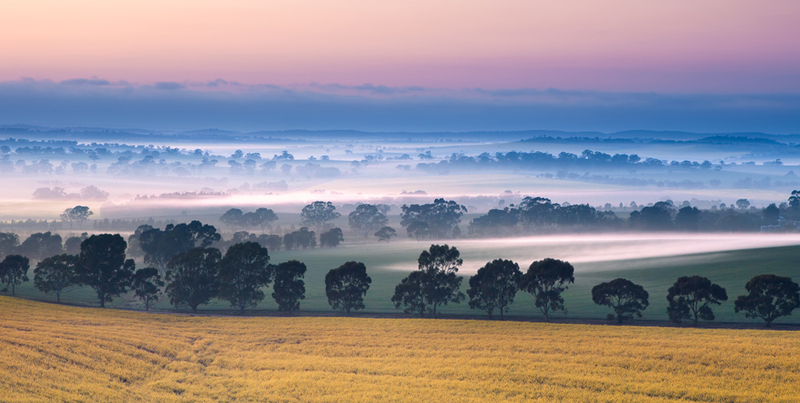 We’re heading to the Barossa Valley with lunch at Al-Ru Farm at One Tree Hill. 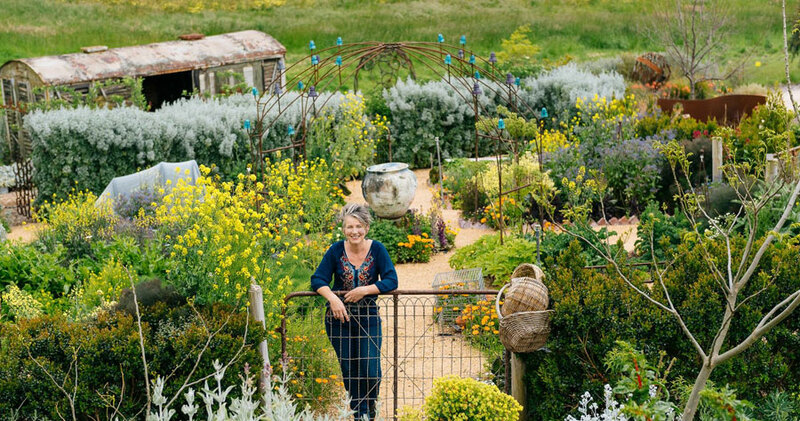 Irrepressible Ruth Irvine is a clever and passionate gardener. 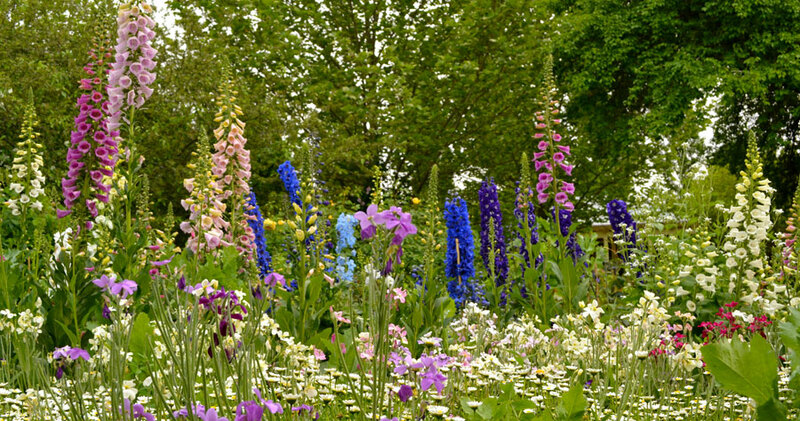 Her garden is the most amazing exuberance of poppies, iris, perennials and her favourite roses. Walk through her wisteria arbour into a restrained formal white garden. It’s lush and incredibly lovely. Check into our hotel for the next two nights, Novotel Barossa Valley Resort, with panoramic views across the Barossa Ranges and Jacobs Creek vineyards. Welcome Dinner in the hotel restaurant tonight. 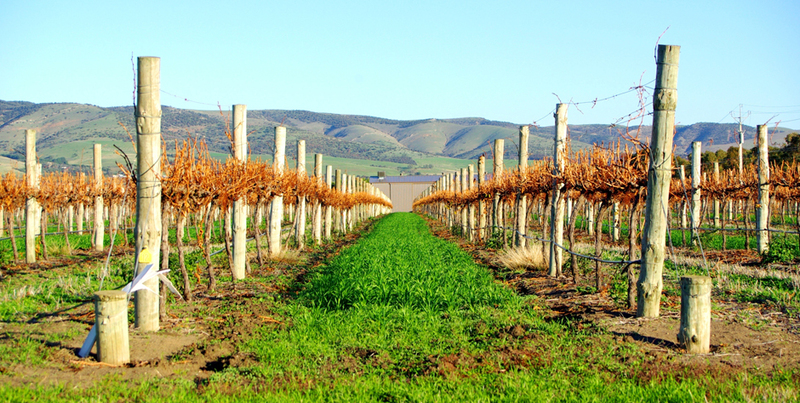 A day to explore the Barossa; this valley is one of the world’s great wine regions with many vineyards boasting beautiful gardens. It has a German heritage, dating back to 1842. It’s these physical remnants of colonisation that give this valley its charm and its character with Gothic church steeples and stone cottages. We’re off to Anlaby Station this morning in Hamilton near Kapunda. It’s a beautiful step back in time. This historically listed garden includes a shade house, glass house, walled garden, rose garden and terraced lawns. Anlaby is home to the oldest Merino stud in South Australia. Our hosts will serve morning tea then take us for a stroll through the gardens. We’ll stop in at Maggie Beer’s Farm Shop. And finally a tour and wine tasting at Langmeil in Tanunda, the oldest known surviving Shiraz vineyard, planted in 1843. We head to Gumeracha this morning to Ashgrove Iris Garden, a treat for those who love the magical combination of roses and iris. Close by nestles ‘The Cedars’ that remains the home for more than 50 years, of the Heysen family. Our host will take us on a tour to discover the chalet style studio where Hans Heysen painted many of his famous landscapes. See the studio of Nora Heysen, daughter of Hans Heysen, the only one of the Heysen children to become an artist. The garden has been recreated with the roses, zinnias and many of the flowers that Heysen loved to paint. See the eucalypts, River Red gums and white gums that Hans Heysen painted and that surround his home. Free time for lunch in Hahndorf and to explore what is Australia’s oldest surviving German village. Travel to Adelaide and check into the Pullman Hotel for 3 nights. Hamlyn Cottage, the garden of ABC TV gardener Sophie Thomson is our destination this morning. Sophie is passionate about people, plants, growing food, feathered friends and gardens. Here in the Adelaide Hills, she has made a remarkable garden around her restored 1847 stone cottage. Free time in Mt Barker for lunch. No photos could ever fully capture the wonder and whimsy of Irene Pearce’s ‘Tickle Tank’. Every inch of space is filled with colour and form, mosaics and sculptures and careful planting to create one vignette after another. Return to Adelaide after first enjoying the garden at Gamble Cottage. Carrick Hill is first this morning, a grand Tudor style house built in 1930 by Sir Edward Hayward and bequeathed to the people of South Australia. See the private collection of two perceptive art connoisseurs, Ursula and Bill Hayward. Roses play a large part in this historic garden with formal rose beds, and three separate rose gardens, one for Old Garden Roses, one for modern Hybrid Teas and the third is devoted to Alister Clark roses. We’ll enjoy a tour of the house and garden & then morning tea. Free afternoon in Adelaide with time to explore the Adelaide Central markets. This morning we head south to Cape Jervis to take the Sealink ferry across to Penneshaw on Kangaroo Island. 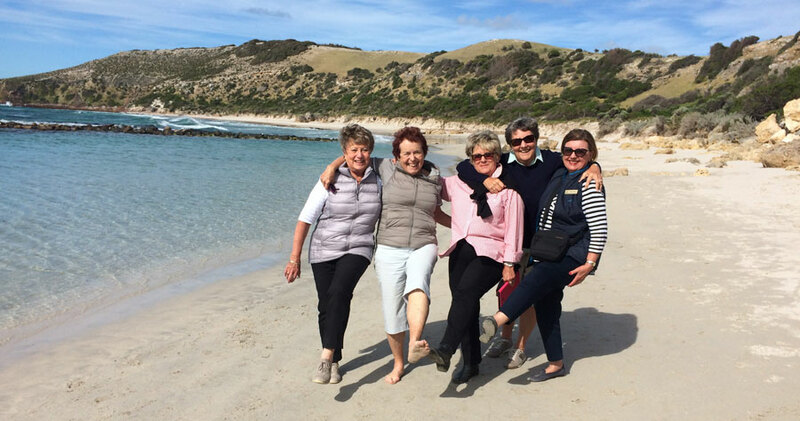 Check into the Kangaroo Island Wilderness Retreat. 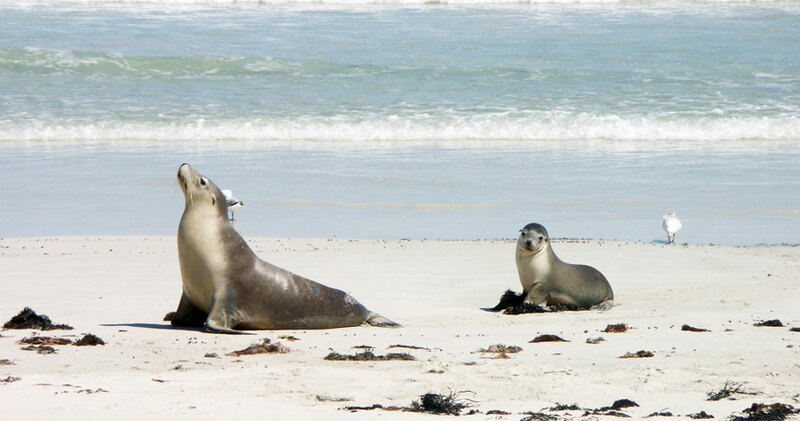 Kangaroo Island is an unspoiled refuge, internationally famous for its pristine wilderness and wildlife. Kangaroos and Tammar wallabies wander across the island. Echidnas and goannas scuttle in the undergrowth and koalas doze in the trees. 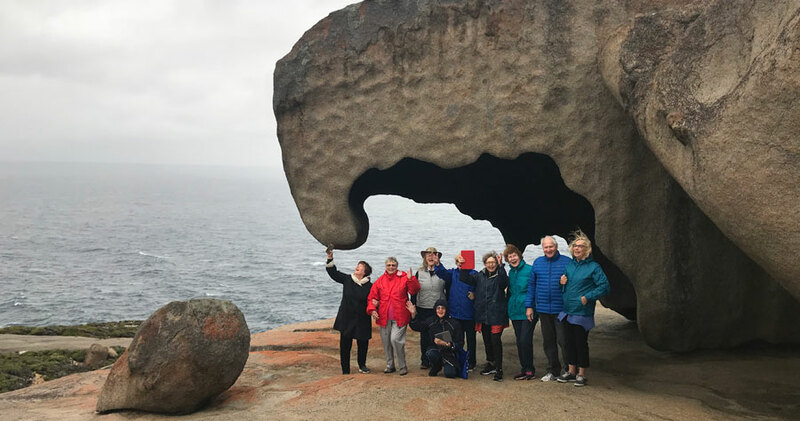 We’ll spend the morning at Flinders Chase National Park and explore the spectacular Admirals Arch and see the famous wind-sculpted Remarkable Rocks. Lunch included at the Chase Cafe. This afternoon visit the Island Pure Sheep Dairy and Kangaroo Islands famous gin distillery. Check into our hotel, Aurora Ozone, for 3 nights overlooking Nepean Bay at Kingscote. Dinner included. Begin the day at Seal Bay with incredible views of the extraordinary coastline and sea lion colony. This is the only place in the world where you can see these Australian sea lions at close quarters. You’ll be given unique insights into how these endangered animals fish, surf, rest, interact with their pups and defend their territory. Lunch is included at Dudley Wines. An afternoon sightseeing throughout the beautiful regions of Cape Willoughby and American Bay. Lunch will be at the Marron Café and we’ll take a farm and shed tour at Andermel to understand more about the Marron, the Island’s prized freshwater crayfish. This afternoon we’ll visit a bush garden at Stokes Bay full of tough hardy indigenous plantings. Afternoon tea at nearby Rockpool Cafe. Morning ferry across to Cape Jervis then a treat. A very special and delicious Farewell lunch today at d’Arenberg Winery overlooking the rolling hills of McLaren Vale before we fly out of Adelaide later this afternoon. Graham Ross will tell you autumn is his favourite season with richly coloured gardens and landscapes. He’ll take you to ‘Master’ gardens to appreciate exquisite design. Share ancient traditions on this journey; it’s more than a holiday, it’s the total Japanese experience.